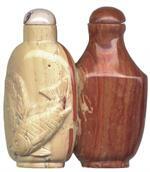 Item #GS-572: 2"x4.5"x2.25" tall Red with Brown Bracidated Jasper Lizard on Red and Cream Matrix. Item #GS-2112: 1.75"x4"x2" tall Green Jasper & Black Onyx Buffalo. Item #AM-KOM-JSP-210: 15" tall Green Kombaba Orbicular Jasper polished crystal point (Madagascar). Item #MN-JAS-OCT-400: Approx. 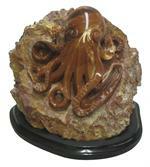 5.25" tall Jasper octopus on a .5" Black Basalt Base. Item #GS-2173: Approximately 3.25"x3.5"x1.5" tall Madagascar Jasper Dish. 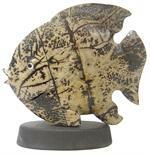 Item #GS-945: 3.5"x3" Nature's Paintbrush Jasper Angel Fish. Item #GS-946: 2"x2" Nature's Paintbrush Jasper Angel Fish. Item #JP-H12: 10.25"x5.25"x5.5" Nature's Paintbrush Bears. Item #JP-NPD-13: 6"x7.25" Nature’s Paintbrush Jasper dolphins on wave and white Coral on 8"x.5" base in 21.5"x17.75" Mahogany frame. 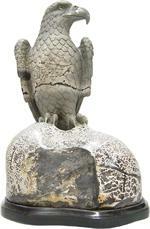 Item #2004-4578: 7"x7.5"x11.5" tall Nature's Paintbrush Jasper Eagle. Mounted on Black Basalt base. Item #IGM-20: 110mm Nature's Paintbrush Jasper Fish on a 9mm base. Item #JP-NP-JR-11: 5.5"x10" Nature’s Paintbrush Jasper Rhinos on 10"x.5" base in 21.5"x17.75" Mahogany frame. 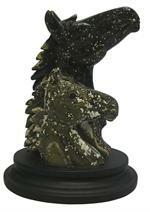 Item #JP-H30-B-1: 5 3/8" tall Ocean Jasper Double Horsehead on a 1" stand. 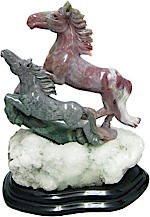 Item #GS-2121: 1.5"x4.25"x3" tall Picture Jasper Dog. 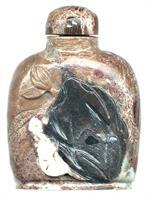 Item #GS-641: 1/4"x2 3/8" Picture Jasper double snuff bottle with fish design. 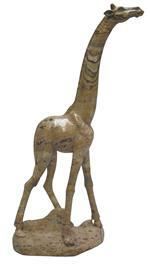 Item #GS-2134: 2.75"x7.75"x13.25" tall Picture Jasper Giraffe. Item #GS-2137: 13" tall Picture Jasper Obelisk. Item #GS-927: 2.75"x5.75"x3.25" tall Picture Jasper Pig. 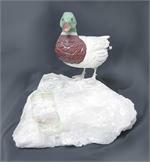 Item #GS-928: 2.25"x5.25"x2.5" tall Picture Jasper Pig. Item #GS-929: 2.25"x4.5"x2.5" tall Picture Jasper Pig. 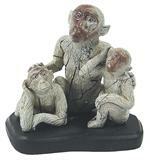 Item #113: 1.5"x5"x2.25" tall Picture Jasper Rhino.